It wasn’t that long ago that the act of “gift giving” didn’t require a maddening trip to Walmart or a desperate online search for this season’s must-have toy. Rather, a gift implied something from within, a little piece of yourself, no matter how small, showing you care. Could that old-fashioned concept possibly become new-fashioned? Yes. With today’s working-class depression severely restricting the ability of most people to splurge on “stuff,” and with the public’s rising unwillingness to keep shoveling their money at narcissistic corporate profiteers, a return to a more modest — but also deeper — spirit of gift-giving seems to be spreading. Realizing that buying globalized corporate crap is not really a gift, more and more people are putting their money where their values are. They’re buying from local artisans, fair-trade merchants, certified sweatshop-free manufacturers, recycling shops, co-ops, farmers markets, homeless centers, church bazaars, charities and other sources of the burgeoning non-corporate economy. And what if you used your gifts as a way to inspire the recipients of your presents to tap into their own generosity? This is surprisingly easy to do. As proposed by a Methodist church group in my town of Austin, Texas, just send a bit of cash to that grandson, niece, mother-in-law or whomever — on the condition that they must donate the money to a charitable organization of their choosing. Yes, they might very well donate to some group that you don’t like, but stimulating the philanthropic impulse in today’s self-focused society is itself a radical act. Five dollars, 50, 100 or whatever can make recipients think beyond their own possessions — and that alone is a big social advancement. This year, I finally mastered the art of finding perfect gifts for people on my list — gifts that rise above crass commercialism and are genuinely appreciated by the people who receive them. I wholeheartedly recommend such gift-giving to you. For example, I gave a goat to my mother, Lillie. It was for her birthday, so I even named the animal after her. Although she was raised on a farm, Momma is now in her 90s and really doesn’t want to tend to a goat — but she loved getting it. That’s because the critter wasn’t delivered to her, but to an impoverished family in Nepal that desperately needs the nutritional, economic and life-affirming benefits that can flow from something as basic as a goat. Her gift — which indeed will keep giving — was made possible by Heifer International, a terrific charitable organization based in Little Rock, Ark., that copes with global poverty one animal at a time. Heifer publishes a gift catalogue that allows you and me to make a donation that purchases anything from a flock of baby chicks ($20) to a water buffalo ($250). Heifer then distributes the animals to families around the world who put these living donations to work, lifting them and entire villages out of abject poverty. Not only does Heifer connect us to specific needs, but it also has teachers and development experts on staff who work directly with the recipients to … well, to make the gifts work. There are dozens of good groups that offer such “gifts that matter.” For example, my Christmas gift to Momma came from the catalogue of The Nature Conservancy. She is now the symbolic “owner” of two acres in Appalachia that are part of the group’s conservation efforts. For her — and for me — this kind of giving is a lot more satisfying (and a lot truer to the spirit of giving) than buying another “thing” that she doesn’t need. For information about these groups and more — go to www.charitynavigator.org. 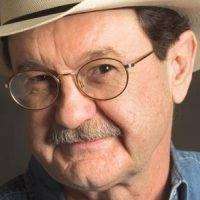 National radio commentator, writer, public speaker, and author of the book, "Swim Against The Current: Even A Dead Fish Can Go With The Flow," Jim Hightower has spent three decades battling the Powers That Be on behalf of the Powers That Ought To Be - consumers, working families, environmentalists, small businesses, and just-plain-folks. 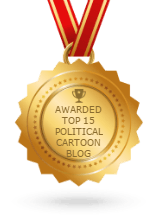 Twice elected Texas Agriculture Commissioner, Hightower is a modern-day Johnny Appleseed, spreading the message of progressive populism all across the American grassroots. He broadcasts daily radio commentaries that are carried in more than 150 commercial and public stations and on the web.